Suppose you are an Outlook user, confirmed corruption in Outlook email platform. You need to access some of the official mails stored in MSG files. However, every attempt fails. The other need that occurs at this very stage is to access MSS files in EML file format because of its support to multiple file formats. At this point of time, hiring MSG to EML tool would be highly helpful solution to transfer Outlook emails to Outlook Express. 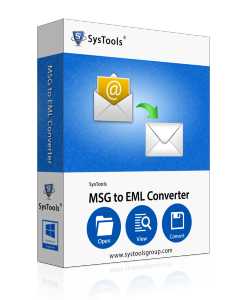 Using MSG to EML Converter you can convert multiple MSG files to EML format. The Software aids to add various Outlook MSG files one after another. You can easily Browse MSG file from their location via your machine. On adding MSG file, Software arranges them one by one. Also, it shows the complete details of all MSG files such as subject of email, location of the file, etc. You can re-arrange the position of file in the list as per its linked properties. During MSG to EML Conversion, the tool preserves the entire Meta properties of Email. It maintains HTML formatting, To, Cc, Bcc properties after converting MSG to EML. All Outlook MSG attachments also get exported thru conversion. After using Outlook MSG to EML Converter you can open and access EML files on various email clients. As EML files can be easily read on several programs like Outlook Express, Thunderbird, and Windows Live Mail etc. 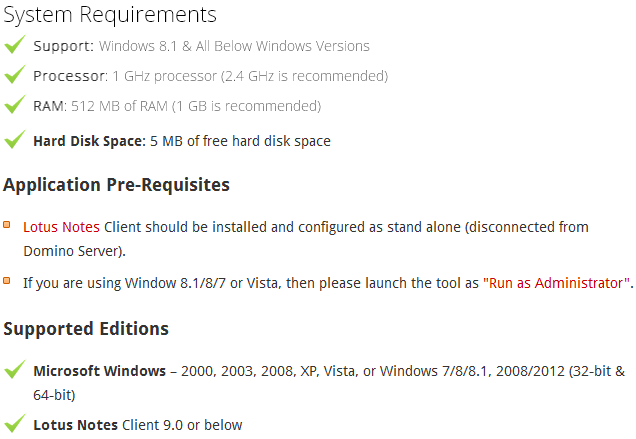 MSG to EML Converter Software comprise of all commands and options required for MSG to EML Conversion on a single window. It benefits the user to execute multiple Outlook MSG files on a single screen without moving on various locations. After adding all MSG files, the tool prompts to provide the location to save converted EML file. You can save the output EML file either by choosing any particular location or by creating a new folder on your machine. I like this Software a lot as it's simple Graphic Interface makes this tool compatible to use easily without any technical skill. It converts my entire MSG files to EML format within couple of times. Thanks to the entire team of this Software. They did a praiseworthy task of developing this tool. As it is very simple to use and convert MSG files in bulk to EML format without loss of single info. This tool characteristic makes it very convenient and effective for MSG to EML Conversion. After converting to EML format I was able to read and access my Emails in various Email Client in same format.I thanks to the entire development team.